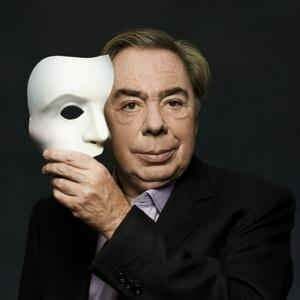 Andrew Lloyd Webber, Baron Lloyd-Webber (born 22 March 1948) is an English composer and impresario of musical theatre. Several of his musicals have run for more than a decade both in the West End and on Broadway. He has composed 13 musicals, a song cycle, a set of variations, two film scores, and a Latin Requiem Mass. Several of his songs have been widely recorded and were hits outside of their parent musicals, notably "The Music of the Night" from The Phantom of the Opera, "I Don't Know How to Love Him" from Jesus Christ Superstar, "Don't Cry for Me, Argentina" and "You Must Love Me" from Evita, "Any Dream Will Do" from Joseph and the Amazing Technicolor Dreamcoat and "Memory" from Cats. In 2001 the New York Times referred to him as "the most commercially successful composer in history". Ranked the "fifth most powerful person in British culture" by The Telegraph in 2008, the lyricist Don Black stated "Andrew more or less single-handedly reinvented the musical." He has received a number of awards, including a knighthood in 1992, followed by a peerage from Queen Elizabeth II for services to Music, seven Tonys, three Grammys (as well as the Grammy Legend Award), an Academy Award, fourteen Ivor Novello Awards, seven Olivier Awards, a Golden Globe, a Brit Award, the 2006 Kennedy Center Honors, and the 2008 Classic Brit Award for Outstanding Contribution to Music. He has a star on the Hollywood Walk of Fame, is an inductee into the Songwriter's Hall of Fame, and is a fellow of the British Academy of Songwriters, Composers and Authors. 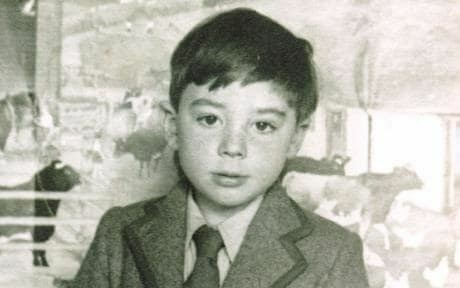 Andrew Lloyd Webber was born in Kensington, London, the elder son of William Lloyd Webber (1914–1982), a composer and organist, and Jean Hermione Johnstone (1921–1993), a violinist and pianist. His younger brother, Julian Lloyd Webber, is a noted solo cellist. The 17-year-old budding musical-theatre composer was introduced to the 20-year-old aspiring pop-song writer Tim Rice in 1965. Their first collaboration was The Likes of Us, a musical based on the true story of Thomas John Barnardo. They produced a demo tape of that work in 1966, but the project failed to gain a backer. In 1969 Rice and Lloyd Webber wrote a song for the Eurovision Song Contest called "Try It and See," which was not selected. With rewritten lyrics it became "King Herod's Song" in their third musical, Jesus Christ Superstar (1970). The planned follow-up to Jesus Christ Superstar was a musical comedy based on the Jeeves and Wooster novels by P. G. Wodehouse. Tim Rice was uncertain about this venture, partly because of his concern that he might not be able to do justice to the novels that he and Lloyd Webber so admired. After doing some initial work on the lyrics, he pulled out of the project and Lloyd Webber subsequently wrote the musical with Alan Ayckbourn, who provided the book and lyrics. Jeeves failed to make any impact at the box office and closed after a short run of only three weeks. Many years later, Lloyd Webber and Ayckbourn revisited this project, producing a thoroughly reworked and more successful version entitled By Jeeves (1996). Only two of the songs from the original production remained ("Half a Moment" and "Banjo Boy"). In 1978, Lloyd Webber embarked on a solo project, the Variations, with his cellist brother Julian based on the 24th Caprice by Paganini, which reached number two in the pop album chart in the United Kingdom. The main theme was used as the theme tune for ITV's long-running South Bank Show throughout its 32-year run. The same year, Lloyd Webber also composed a new theme tune for the long-running documentary series Whicker's World, which was used from 1978-80. In 1998 Whistle Down the Wind made its debut, a musical written with lyrics supplied by Jim Steinman. Originally opening in Washington, Lloyd Webber was reportedly not happy with the casting or Harold Prince's production and the show was subsequently revised for a London staging directed by Gale Edwards. The production is probably most notable for the number-one hit from Boyzone "No Matter What" which only left the UK charts when the price of the CD single was changed to drop it out of the official top ten. His The Beautiful Game opened in London and has never been seen on Broadway. The show had a respectable run at The Cambridge Theatre in London. The show has been re-worked into a new musical, The Boys in the Photograph, which had its world première at The Liverpool Institute for Performing Arts in April 2008. Lloyd Webber accepted the challenge of managing the UK's entry for the 2009 Eurovision Song Contest, to be held in Moscow. In early 2009 a series, called Eurovision: Your Country Needs You, was broadcast to find a performer for a song that he would compose for the competition. Jade Ewen won the right to represent Britain, winning with It's My Time, by Lloyd Webber and Diane Warren. At the contest, Lloyd Webber accompanied her on the piano during the performance. The United Kingdom finished 5th in the contest. The winner was Norway's Alexander Rybak with his world record composition "Fairytale". On 26 February 2010, he appeared on BBC's Friday Night with Jonathan Ross to promote Love Never Dies. In 2012 Lloyd Webber fronted a new ITV primetime show Superstar which gave the UK public the chance to decide who would play the starring role of Jesus in an upcoming arena tour of Jesus Christ Superstar. The arena tour started in September 2012 and also starred comedian Tim Minchin as Judas Iscariot, former Spice Girl Melanie C as Mary Magdalene and BBC Radio 1 DJ Chris Moyles as King Herod. Tickets for most venues went on sale on 18 May 2012. Webber caused controversy with a series of comments about Eurovision in a Radio Times interview. He said: "I don't think there's any point in beating around the bush. I saw no black faces on the programme Eurovision 2012. I was questioned by the press over Jade Ewen's race, and I think we would have placed second, but there is a problem when you go further east. If you're talking about Western Europe it's fine, but Ukraine, not so good." The EBU corrected Webber, telling him Ukraine's singer Gaitana was black, that year's winner Loreen for Sweden was of North African background and accompanied by a black backing dancer, and France's contestant Anggun was Indonesian. The contest organisers also told Webber that black singer Dave Benton won for Estonia in 2001. The EBU thoroughly denied racism in its show, and insisted it unites Europe for three nights in a year. In 2013, Webber reunited with Christopher Hampton and Don Black on Stephen Ward the Musical. Lloyd Webber has been accused of plagiarism in his works. The Dutch composer Louis Andriessen commented that: "There are two sorts of stealing (in music) – taking something and doing nothing with it, or going to work on what you've stolen. The first is plagiarism. Andrew Lloyd Webber has yet to think up a single note; in fact, the poor guy's never invented one note by himself. That's rather poor". Lloyd Webber is an art collector, with a passion for Victorian art. An exhibition of works from his collection was presented at the Royal Academy in 2003 under the title Pre-Raphaelite and Other Masters – The Andrew Lloyd Webber Collection. In 2006, Lloyd Webber planned to sell Portrait of Angel Fernández de Soto by Pablo Picasso to benefit the Andrew Lloyd Webber Foundation. In November 2006, he withdrew the painting from auction after a claim that the previous owner had been forced to sell it under duress in Nazi Germany. An out-of-court settlement was reached, where the foundation retained ownership rights. On 23 June 2010, the painting was sold at auction for £34.7 million to an anonymous telephone bidder. Lloyd Webber was made a Conservative life peer in 1997, however by the end of 2015, he had voted only 33 times. 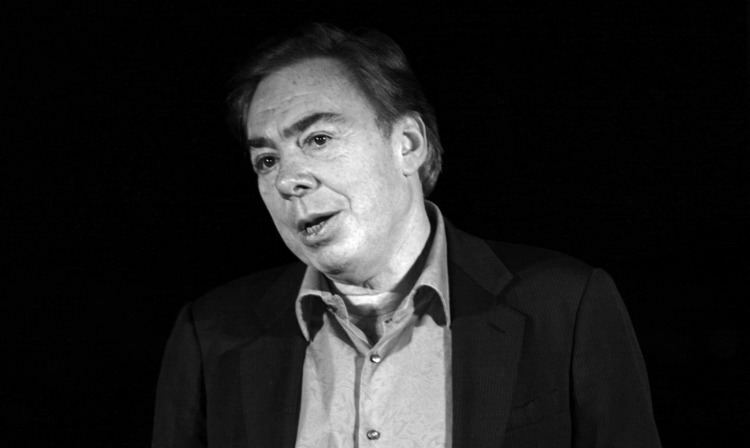 Politically, Lloyd Webber has supported the UK's Conservative Party, allowing his song "Take That Look Off Your Face" to be used on a party promotional film seen by an estimated 1 million people before the 2005 general election. In 2009, he publicly criticised the Labour government's introduction of a new 50% rate of income tax on Britain's top earners, claiming it would damage the country by encouraging talented people to leave. In August 2014, Lloyd Webber was one of 200 public figures who were signatories to a letter to The Guardian opposing Scottish independence in the run-up to September's referendum on that issue. In October 2015 Lloyd Webber was involved in a controversial House of Lords vote over proposed cuts to tax credits, voting with the Government in favour of the plan. Lloyd Webber was knighted in the 1992 Birthday Honours. 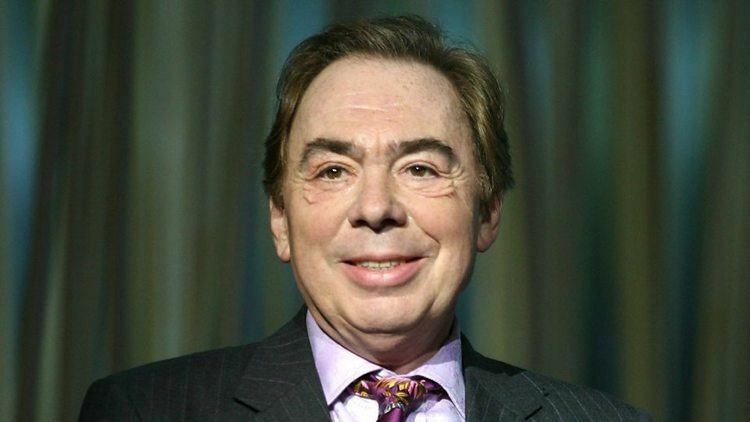 In the 1997 New Year Honours, he was created a life peer as Baron Lloyd-Webber, of Sydmonton in the County of Hampshire. He is properly styled as The Lord Lloyd-Webber; the title is hyphenated, although his surname is not. He sits as a Conservative member of the House of Lords. A special performance of The Phantom of the Opera at the Royal Albert Hall for the 25th anniversary was broadcast live to cinemas in early October 2011 and later released on DVD and Blu-ray in February 2012. The same was also done with a reworked version of Love Never Dies. Filmed in Melbourne, Australia, it received a limited cinema release in the US and Canada in 2012, to see if it would be viable to bring the show to Broadway. It received positive reviews and was No.1 on DVD charts in the UK and Ireland, and did well in America. In February 2014, it was announced that Elton John's production company had acquired the rights to Joseph and the Amazing Technicolor Dreamcoat, and is planning to adapt it as a new theatrical animated musical film to be distributed by STX Entertainment.